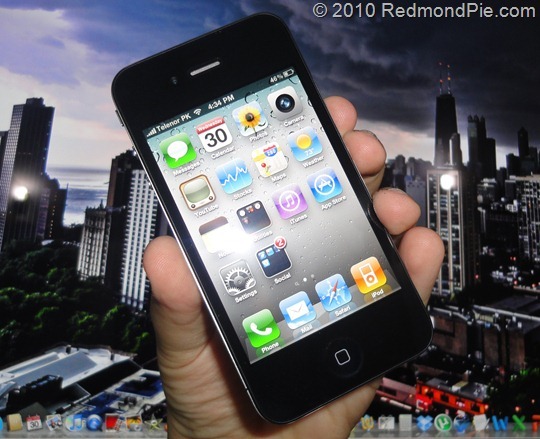 iOS 4.3.3 / 4.4 To Fix iPhone Location Tracking Bug? The famed Apple critic John Gruber of Daring Fireball believes that the much talked about tracking down of user’s location data on the iPhone is likely an oversight or a bug, which is mostly likely going to be fixed in the next iOS 4.3.3 / 4.4 update. The big question of course, is why Apple is storing this information. I don’t have a definitive answer, but my little-birdie-informed understanding is that consolidated.db acts as a cache for location data, and that historical data should be getting culled but isn’t, either due to a bug or, more likely, an oversight. I.e. someone wrote the code to cache location data but never wrote code to cull non-recent entries from the cache, so that a database that’s meant to serve as a cache of your recent location data is instead a persistent log of your location history. I’d wager this gets fixed in the next iOS update. In case you don’t already know, Security researchers have revealed that iPhone tracks user’s location and stores it in a secret hidden file which is replicated to the computer once it’s synchronized with the device. Apple is yet to comment on this issue. If it really is a bug, Apple is likely going to fix it in the next iOS update. Temporarily, you can use this jailbreak app available on Cydia to prevent your iPhone from recording all your locations.